Dr. Stankfoot is tired of those who always stick their nose into his business, so he decided to clone mutants and build an army to get rid of noisy enemies. Grab a gun and kill his mutants that can destroy the city. 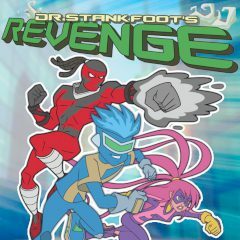 Dr. Stankfoot gone mad and his hordes of mutants terrorize the city. Only you can save the citizens, but you should act carefully and quickly. Choose one of the three characters and take your blaster to face them on the streets. Shoot the mutants and reload the blaster when you see no enemy. Dodge their attacks and see the result at the end of each round!